Curb appeal is an important aspect of any home. In addition to affecting how you feel about your own property, it also sways how other people view the property and drives property values up or down. When glancing at your home, people will notice details like missing shingles, sagging gutters and torn screens. While you may not notice these flaws because you’re grown accustomed to them, visitors to your home and people driving by will notice. Keeping your home in top repair protects and increases curb appeal while also ensuring that your home is fully functional and protected from the elements. If your screens have holes or tears in them, you may think it only matters if you like to open the windows and let the breeze come through. However, it’s these little details that really matter when it comes to curb appeal. People walking by notice missing screens, dirty windows and when your screens are ripped. The assumption is that you aren’t taking care of your property, and that never creates the right impression. If you’re selling the home, potential buyers will immediately start looking for other things around the house that have damaged or neglected. It may just be a little hole in the screen to you, but it can drag down the value of your home. Window screen replacement is actually very affordable, and it helps you keep everything in the home in top condition and ensure that your property looks great. When you have a cracked window, you have a serious problem. That crack in the window undermines the insulating value of double paned windows, and it encourages heat migration into the home. 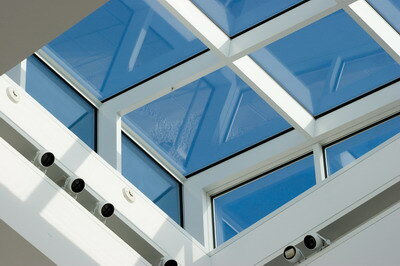 Condensation can get into the window and fog up the interior surface. Skylight damage is particularly problematic because it an allow moisture to seep into the roof structure and lead to mold and structural damage. Even the rips in window screens limit your protection from the elements as bugs start moving into your home through the ripped screens and cracked windows. 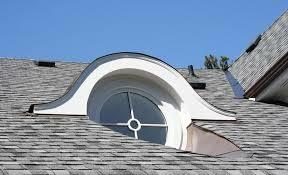 The cost of window replacement or skylight repair depends largely on the size of the structure and what it’s replaced with. Simple double hung windows are usually the most affordable. However, Style by Carden Exteriors suggests that modern windows are made with replaceable panels, so all you have to do is take the sash to your local glass company and have them fit a new piece of double pane glass. It’s important to heed the warning signs you see around your home, including missing shingles and ripped screens. A few missing shingles don’t cause a problem right away, but they will lead to roof leaks over time. The holes in your window screens may not bother you at this moment, but they’ll pose a problem when you want to sell or even refinance the home. The best bet is to pay attention to your home, inspect the exterior regularly, and correct problems as they come up. Call for roofing repair when you see roof damage. Invest in screen repair Tampa to keep the bugs out. Have windows replaced when you first see the crack. Keeping up with this regular maintenance and repairs will help ensure that your home remains attractive and protected from the weather. Many people neglect the little problems around their home, like a slight crack in a window, a few missing shingles, or town window screens. However, these little problems can lead to serious structural damage and a drop in curb appeal. Maintain your home’s high value by investing in window screen replacement and other repairs when necessary.